We all want to provide the best care for our pets but sometimes the costs can come at the wrong time. 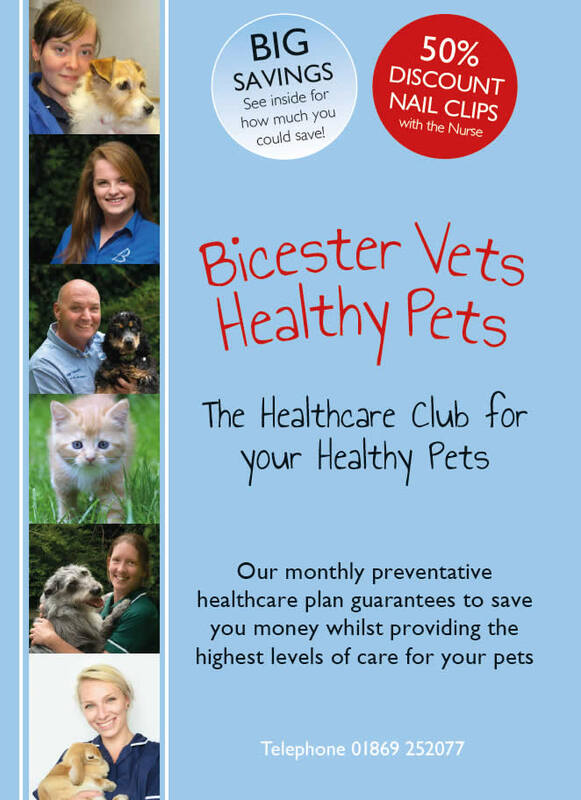 That’s where our helpful monthly payment plan called Bicester Vets Healthy Pets comes in. The New PLUS Plan for Dogs also protects against ticks as well. Join one of our Healthy Pets Plans on the day your pet has their annual booster or initial vaccinations and you’ll get the vaccination for HALF PRICE. That’s a 50% discount on your vaccination booster or course but only when you join a plan on the same day! On the 28th of last month, Beau (our Cockapoo) and myself had to visit you as he was constipated. Also, you kindly dealt with the claim put in with the insurance company covering Beau (Animal Friends); reimbursement has now been received – you make dog ownership so easy.